We’ve been looking forward to the publication of EarthCraft Virginia’s new report, The Impact of Energy Efficient Design and Construction on LIHTC Housing in Virginia, which they compiled with Housing Virginia and the Virginia Tech Center for Housing Research. This study demonstrates the impact of energy efficient incentives in the construction of affordable rental housing. VHDA has long encouraged developers to use green building construction techniques, and EarthCraft Virginia’s report uses real-world data to support these policies and preferences. Read the full press release, report and additional articles about it at EarthCraft Virginia’s website. In case you missed the news, VHDA has implemented a grant program to provide down payment assistance to Virginia residents. We have posted details about the grant program on our website. The resource pool is extremely limited; buyers must have household incomes at or below program limits. Because these resources are limited, they’ll be made available on a first-come, first-served basis. Once funds are exhausted, there will be no additional allocation. For more information, visit www.vhda.com/3percent. It’s not too late to register to attend this important forum slated for March 31 at 3:30 p.m., at the University of Richmond Jepson Alumni Center. The focus of the event is a report commissioned by the Partnership for Housing Affordability, working on behalf of the Capital Region Collaborative, to address current and future housing needs for the Richmond region, impediments to meeting these needs and proposed strategies based on successful case studies. The result of the report is an affordable housing gap analysis and potential strategies that might be employed to close the gap and measure progress during the next 15 years. VHDA is proud to be among the many area affordable housing stakeholders that helped support work on the report. Presenters from the Partnership for Housing Affordability, TowneBank Richmond, The Community Foundation, the Virginia Center for Housing Research at Virginia Tech and the Center for Urban and Regional Analysis at Virginia Commonwealth University will share insights from the report during the symposium. Elected and appointed officials, community leaders and housing policy advocates will be in attendance. The symposium is free and open to the public, but registration is required. To register, visit http://bit.ly/housingsymposium. ‘Tis the season for housing awards nominations, and today’s post highlights two different organizations wishing to recognize outstanding developers and developments. Best Placemaking Project – New in 2015! The Better Housing Coalition is also introducing a public voting component to its awards program for 2015, so this is certain to be a high-energy process leading up to the awards event. The deadline for nominations is Friday, April 10. Find out more about the 2015 Golden Hammer Awards here. Next, the June 23, 2015 annual meeting of the Housing Association of Nonprofit Developers (HAND) will feature the presentation of Housing Achievement Awards to organizations and individuals that have provided outstanding affordable housing projects, programs and support for low- and moderate-income citizens of the greater Washington, D.C., metro area (Baltimore to Richmond) during 2014. Best Housing Partner and President’s Choice Award. The deadline for nominations is Friday, April 24. Learn more about award category descriptions, judging criteria and how to submit a nomination. VHDA is pleased to pass along information about the newest program offering from the Housing Association of Nonprofit Developers (HAND): Generation HAND, an emerging leader initiative designed to support the unique needs of practitioners who are on the rise within the affordable housing and community development industry. The goal of this initiative is to provide needed tools and guidance to our developing leaders as they pursue successful careers in the public and private sector. The program launches on April 1 with an in-depth panel discussion and networking. 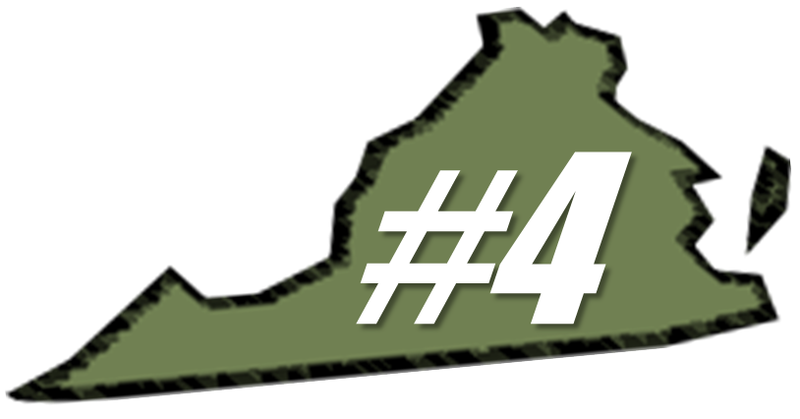 VHDA wants to get the word out about Virginia being one of the Top 10 states for LEED in 2014! We’re proud to promote LEED and make sustainability a priority though our Low-Income Housing Tax Credit funding and supporting other affordable housing initiatives, such as EarthCraft Virginia, which also made the Top 10 list in 2013. In 2014, Virginia’s developers increased the amount of LEED-certified space to 2.33 square feet per resident. That adds up to over 18 million square feet of LEED-certified space in 150 developments. VHDA promotes LEED-certified spaces because they use less energy and water resources. The result saves money and makes affordable housing even more affordable — benefitting families, businesses and taxpayers. LEED, the world’s most widely used and recognized green building rating system, was developed by the U.S. Green Building Council (USGBC).